Reports to: (In order) the BOE, Education Committee, President and BOD, and the Executive Director. This person will be responsible for all the elements of the clock programs at AWCI, even though they will not be required to operate out of the AWCI headquarters in Harrison, Ohio. They will train for several days (to be determined) with a member of the CC21 development program team to learn all aspects of the CC21 program, including the assessments, its processes, and requirements. They will also spend time reviewing past education programs that AWCI offered so they can assist with the re-offerings of new traveling and HQ classes. Redevelop the Mentor and On Site Examiner list to be used with the CC21 program with the help of the Ex. Dir and Education and Certification coordinator. Manage, assemble, prepare movements, and distribute CC21 program materials to both the Mentors and Examinees. Once completed, distribute materials to be scored to the various assessors as appropriate. They will also coordinate with the assessment team to ensure they have what they need to do the scoring properly as well as assembling all the data to present to the Education/Certification Coordinator for final approval and certificate award or for referral to the BOE for any further questions. Score the timings of the floor clock and cuckoo clocks as required by the assessment and submit those scores to the appropriate assessor for final scoring. Secure and maintain an inventory of all necessary supplies to properly operate the CC21 and future CMC21 programs. They will develop supply budgets in a timely fashion to ensure that assessment/classroom materials are always readily available. Track all assessment materials as the Examinees are going through the program and insure that no element or elements are left unaccounted for longer than the S&P stated time limits. If problems arise, this person is to contact the Examinee and the BOE and see to it that either the needed variances are acquired or the materials are returned to HQ. This person will be responsible for reconditioning any reusable materials so that they are in a ready condition, as they were originally, for the next assessment. Used up and unusable materials are to be set aside for the Examinee or discarded depending on the material. 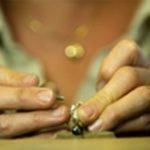 This person will work with the Education Coordinator in the setting up of classes, both distant (traveling classes) and at AWCI HQ for clockmakers as directed by the Education Committee and BOE; find and vet instructors for these classes in conjunction with the EX. Dir. ; develop and submit advertising for classes for clockmakers to the HT (including securing advertising support, as appropriate, from supporting patrons of AWCI); develop budgets for the courses in conjunction with the Ex. Dir as well as help with the securing of suitable sites/venues for the classes to be conducted. 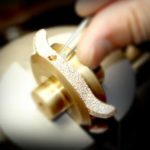 From time to time, they will solicit from membership and share with the Education Committee Clock Section, class and program requests to help build the necessary programs for both preparing members for the Certification assessments as well as skill development programs to help any and all members of AWCI advance their skills in clockmaking. The pay rate in the beginning will start at $25.00 per hour plus travel and expenses as appropriate. As time (yearly) and activities increase, pay reviews will be done to determine increases. This person will supply the Ex. Dir with an “expense reimbursement” document, notating the total number of hours spent directly on clock programs and accessory expenses (along with documentation) every month or when 80 to 120 hours of work have been completed. 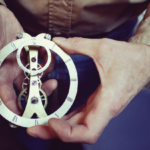 It is expected at the beginning that this person will be spending the bulk of his initial time developing his knowledge and skills to learn the existing clock assessment and other programs. It is predicted that about 250 to 400 hours will be spent in the first year with their efforts on these programs. From there, the work rate will drop to whatever the membership requirements generate. High School diploma or equivalent is required. 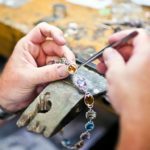 An associate’s degree from a Junior college, a higher college degree or any of the AWCI Clockmaker Certifications (CC, CMC, CC21, CMC21) is desirable. 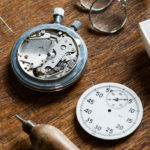 Since the entire assessment is keyed to active work in the profession, at least 5 years of documentable clock repair or comparable experience is desired. This person is required to take and pass the CC21 assessment within the first 6 to 8 months of employment. With the passing of the CC21, AWCI will reimburse the costs of taking the assessment. 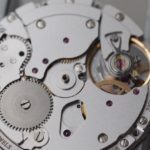 This person must be able to demonstrate a working knowledge of the Clockmaker’s Standards and Practices document for AWCI and its contents. They must have strong written and verbal skills for communication with a variety of members at various stages in their careers. This will be necessary to help the membership achieve the needed goals of AWCI’s programs. They must be able to communicate via computer as well as phone. They must be efficient organizers to help control the diversity of activities they encounter as they move both the program and the members forward. Due to the membership and program diversity, they must be able to be patient as well as an advocate for the membership with any program that they may encounter. A key tenant of this position is to be the force that moves the mission statement forward, with respect to clockmakers, while keeping the S&P clearly at the forefront. The above statements are intended to describe the general nature and level of work being performed by the person assigned to this classification. This list is not to be construed as an exhaustive list of the responsibilities, duties and skills required of the person so classified, but as a guide to help this individual travel this path. This person may be required to perform duties outside of their “normal” responsibilities from time to time and are expected to do so as needed.